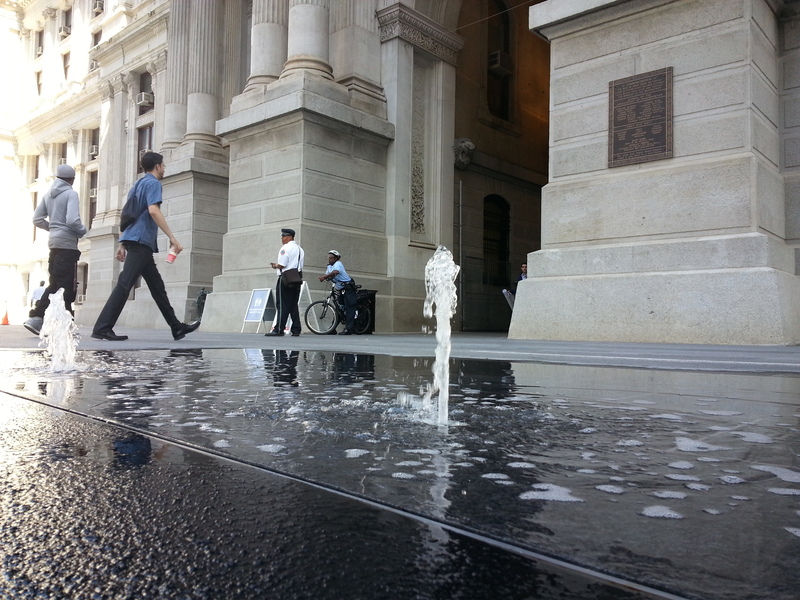 The right to assemble for a redress of grievances in what was once a public space formerly known as Dilworth Plaza – now Dilworth Park – is currently in the grip of the Center City District, a more palatable name for what is also called the Central Philadelphia Development Corporation, which is composed of the city’s banking and real estate elite. This is a first for the space, in which scores of political demonstrations, many of which did not seek permits, have used its environs even before the plaza’s actual construction. 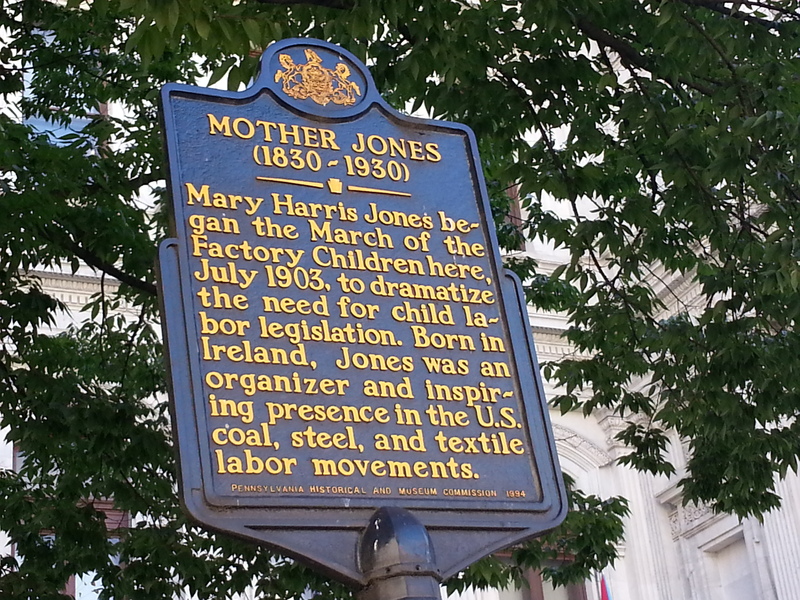 From Mother Jones’ historic “March of the Mill Children” in 1903 to the Occupy Philadelphia encampment in 2011 (which struggled, at times bitterly, over the permit issue I should add), Dilworth has remained a cradle for an array of First Amendment expression. Now, instead of a Civil Affairs unit pulling up in a car to discretely monitor a rally at Dilworth, as was customary in the past, CCD security will now have the option of requesting that police cite or otherwise arrest and charge protesters who refuse CCD security orders to leave the premises. Political demonstrations aren’t your thing? How about photography? A group of Temple students were accosted earlier this month for setting up camera equipment to interview park-goers. Temporary confusion ensued when security approached the students and told them they were not allowed to photograph anyone or anything in the space. “They [security] said it was privately managed so we were not allowed to film,” senior Nicholas Cutrona told Daily News. According to Center City District CEO Paul Levy, however, private photography is allowed, but professional filming would require permission from the City. Levy later apologized for the apparent miscommunication between CCD and its security personnel. This misunderstanding isn’t heartening. In order to ensure that Dilworth Park remains a truly civic space, and not a corporately-sanitized farce, our City’s tireless political groups should begin – and continue – to use the Park for First Amendment protected activity, and damn what the CCD and their police proxies say or do. Challenge every citation and arrest in court. Put on trial the same corporate interests that, with the assistance of an all-too-pliant Mayor Michael Nutter, once pushed a failed, unconstitutional ban on food service for our city’s impoverished on the Parkway – and which are now threatening to punish our right to freely and peaceably assemble in a space with such a storied history of dissent. After all, there is no mention of permits in the Constitution. Hope to see you there sooner rather than later.